CBEC is a potential host site for the 2018-19 Chesapeake Conservation Corps service year! The Corps Program provides hands-on entry level experience and leadership opportunities to young adults ages 18-25 as a stepping stone to a career in an environmental field. Not only are the participants working full-time at their selected host site, but they also receive extensive leadership and professional development trainings. The Corps Program places young adults with nonprofit or government agencies to work full-time in the environmental field for a one-year term of paid service in the Chesapeake Bay region ($18,000 annual stipend). This initiative is supported by the Chesapeake Bay Trust, BGE an Exelon Company, the National Park Service and the state of Maryland. 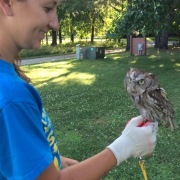 If successfully matched with CBEC, the Corps member will work extensively with CBEC’s environmental education programs, as well as gain experience in our on-going restoration and community engagement initiatives. 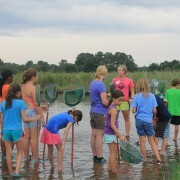 Interested in joining us and helping to inspire the next generation of Chesapeake Bay stewards? 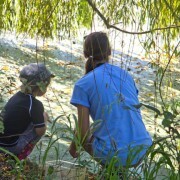 Apply through the Chesapeake Bay Trust at https://cbtrust.org/prospective/. For more information on the position at CBEC, please see the full description here.